In 2010, an ENT used a Sharplan laser with an Omniguide Sidefire Adapter to address a superficial lip hemangioma. The tip of the laser probe was inserted through a small incision made to one side of the hemangioma and activated. Seconds later, the lip and surrounding tissues immediately swelled up indicating trapped gas. A second incision was made in an attempt to release the buildup of gas (analagous to popping a balloon to release air). A short time later, the patient's vital signs dropped and in spite of life-saving measures, was pronounced dead within 2 hours. In the operation of the Sharplan laser, there are two channels present in the laser probe. One channel carries the laser and the other channel carries compressed helium gas that flows over the probe tip to cool it down (a laser is essentially a very focused beam of light and is quite hot... just like direct sunlight which is unfocused). The helium gas pressure flow can be varied between 50-70 psi (pounds per square inch). Just for a frame of reference, car tires are pressurized to about 35 psi. To prevent this complication, when using a Sharplan laser, the manufacturer specifically states to keep the probe perpendicular and at least 5mm away from contact with soft tissues. The probe should be completely away from any blood vessels. I did want to add that Sharplan lasers are no longer made. In fact, it is also appears that the company that makes this laser no longer exists. A surgeon should be the master of the tools he uses. Not understanding the operation of a tool can lead to unintentional, but disastrous mistakes. Lasers are dangerous, even if used properly. There's a reason why many ENT's (including myself) have voluntarily elected to no longer use lasers at all for any purpose. Lasers introduce additional risk to a procedure that can be performed in alternative and safer ways with just as good an outcome. It's not just arterial embolism that can occur. Lasers can also cause life-threatening hemorrhage from blood vessel damage (death of a 5 years old child), airway fire (laser can ignite oxygen), blindness (laser can reflect off metal surfaces and bounce into somebody's eye), etc. For style #1, the "smart laser, dumb surgeon," the laser is used much like the flash of a camera. You just have to aim the laser in the general vicinity of whatever it is the surgeon wishes to address, typically a vascular lesion like a hemangioma. When the laser is activated (typically a KTP or PDL laser), the laser selectively attacks the lesion without damaging the surrounding tissue. The surgeon is "dumb" in that all he has to do is crudely aim the laser in the general vicinity and the "smart" laser will do the rest. Watch a video of this type of laser in action here. For style #2, the "dumb laser, smart surgeon," the laser (typically a CO2 laser) is used more like a handgun. It needs to be precisely aimed, precisely activated, precisely used. If the surgeon makes a mistake in aim, activation, or use, unintentional damage (and even death) may occur. The surgeon has to be "smart" in that he needs to precisely guide the "dumb" laser which will destroy anything in its path. California Health and Human Services Department of Health Report. Report completed 12/3/10. Received by Licensing & Certification Office 6/15/12. The factory original Sharplan CO2 laser does not emit high-pressure helium gas; it only emits a beam of CO2 laser light. From what I can tell the device that was used is a Sharplan laser that was modified. The articulating arm was removed from the laser and replaced with OmniGuide manufactured components: OmniGuide Sidefire adapter, OmniGuide fiber assembly, and a pressurized helium gas canister were all attached to the basic Sharplan. So this is more specific to the OmniGuide product than it is to the Sharplan CO2 laser. Fully agreed. This was an omnigude issue. Lasers are NOT dangerous. They are no more dangerous than any other tool if used improperly, and there have been FAR MORE patient deaths due to the use of bovie / electrocautery than there have been with lasers. Do the research doctor. Lasers that do not seal bleeding were not designed to seal bleeding, rather their primary function is to cut. There are lasers designed for hemostasis only. There are lasers that seal bleeding and cut simultaneously...and do a very fine job. For example, the Medica Energy Gold Laser, which provides bloodless contact laser surgery. 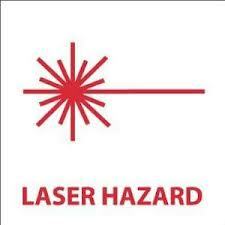 The GOLD Laser has NEVER caused a patient death, nor a patient injury. It is extremely safe, and is used in numerous surgical applications. Medical Energy has been in business for 26 years, without a single patient injury or death.